The nightmares of not being able to get a job or the taxes mounting on and no personal or social life are the notions which you start getting right after you step in your senior year of university. Fretting over these thoughts or creating a tantrum is not at all a big deal at such a naïve stage of your professional life ending and stepping in to practical life. These are the common concerns of all the fresh graduates or soon-to-be-graduates to look for a job, because it is one of the primary needs of survival. Do not look for a job to straight away bump in and give you a major head star, rather look for every possible opportunity, and if there is not than build one! Do volunteer work related to your field, start doing extra work, make online researches and reach out to people yourself. First and the fore most thing after graduation is to build a handsome looking online profile and keep it up to date all the time. Reach out to people, make connections. Attend a many events related to your field as possible, you might just not know where luck would bump you in the job you seek. Build contacts through alumni, take tips and show great dedication. It’s time you make your hours spent on the internet worth it. Do rigorous job research, send in your portfolio and resumes, attend networking events and looking up and signing up at every job opportunity of your field. Most of the times seats are limited and follow first come first serve basis, be that first one. Do not swarm your CV and resume all about you or by mentioning just the regular stuff that every resume has got. Be that orange in black! Stand out, play smart and put in your skills that cater the job nature the best. If it is related to business mention any achievement related to communication and persuasion skills. Play your best shot smartly, that would most likely get you what you want, an entry level job. 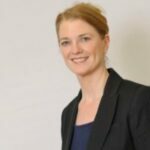 Maggie Searle is a graceful lady; she is member of CIPD (UK) and Head of HR in a reputable company, beside these, she is also accompanied with coursework expert writers – Done Coursework at affordable rate.